Russia in Europe, Divided into Governments, Drawn from the Latest Authorities. Robert Wilkinson's finely detailed first edition 1794 map of european Russia. Russia, at the time under Catherine II (the Great) was enjoying a golden age of territorial and cultural expansion known as the Russian enlightenment. 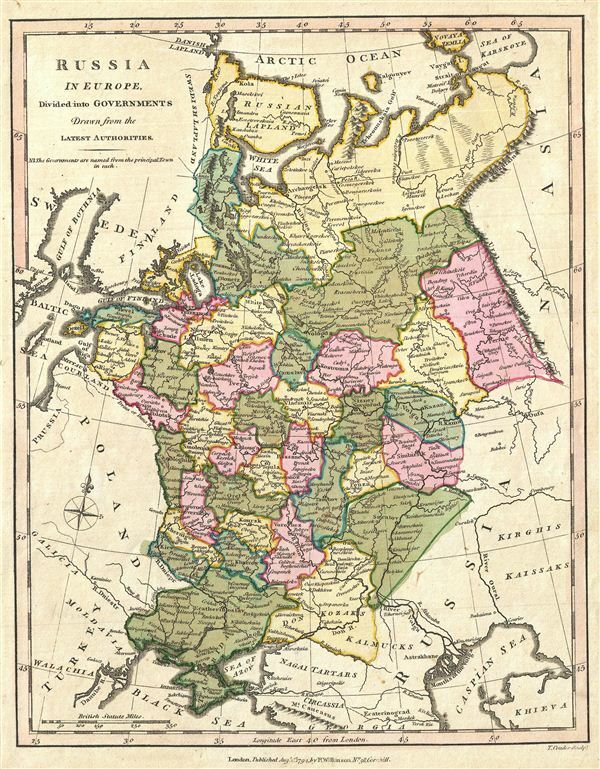 Under her rule Russian grew to include much of the Polish-Lithuanian Commonwealth as well as numerous lands formerly governed by the Ottoman Turks.